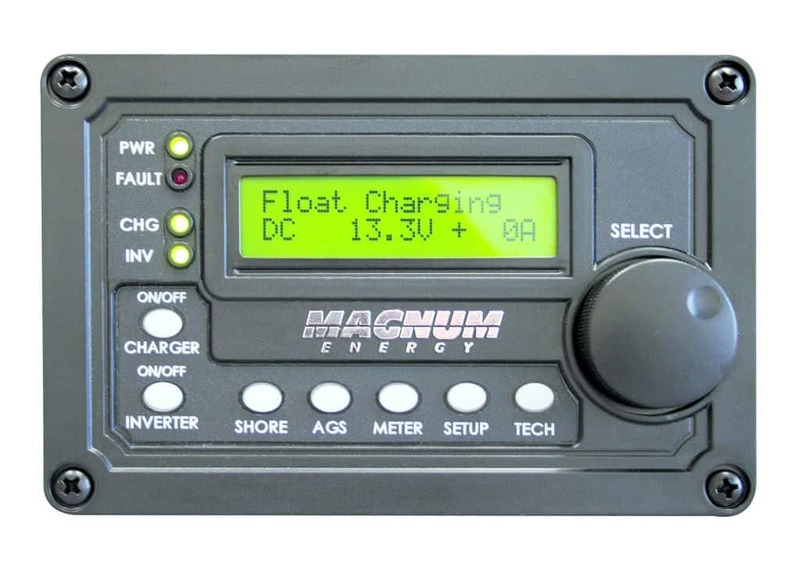 Please note: Magnum's -AE series of inverters are not suitable for mobile applications because they do not have neutral to ground switching. For help choosing a compatible inverter, please give us a call at 1-800-472-1142. Introducing the new MM-AE Series, a new generation inverter and charger in a new design. The MM-AE is smaller, lighter and less expensive than the ME and MS models and retains all the built in protection and reliability. 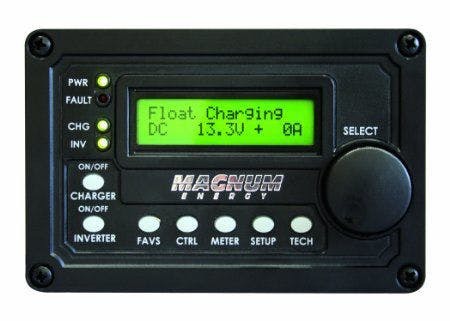 The MM-AE utilizes a PFC (Power Factor Corrected) charger, with an impressive 85% efficiency, the same charger topology used in all Magnum models. This series is designed for smaller loads and appliances in a cabin or an off-grid home. 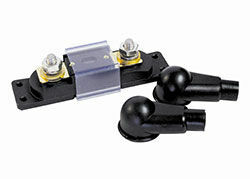 Versatile mounting: Mount the MM Series on a shelf, bulkhead, or upside down. Fan cooled: The MM Series is fan cooled and therefore works well in confined spaces. If it exceeds temperature limits, it will automatically shut down and then restart when it cools down. Low/high battery protection: If your battery voltage goes below 10 VDC or above 15.5 VDC, the MM Series will automatically shut down. Current overload protection: The MM Series automatically shuts down if its output wattage is exceeded or it detects a short, saving the unit from costly damage. Convenient switches: The MM Series comes with a front mounted on/off switch with an LED indicator. Circuit breaker protection: Input and output circuit breakers come with every model. Battery temperature sensor: The standard battery temp sensor monitors temperatures from 0 - 50° C on all inverter models with a charger. Accessory Options: An optional remote is available with this series. All units are furnished with a four wire phone jack for connection to remotes.